FOOD TRUCK CATERING? We have you covered! FIND OUT MORE! 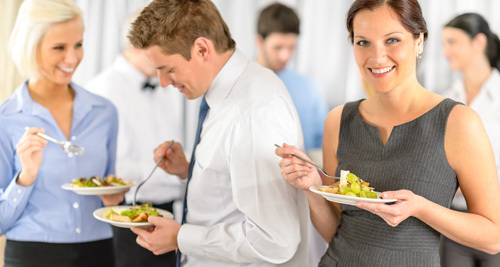 Planning a holiday party or special event to say “Thank you” to your clients or employees? Join the companies who are using the catering division of Gourmet Truck Expo to add spice to your event without sacrificing quality. With our wide selection of Food Trucks we can help you plan the menu that suits your needs. Looking for Mexican? Thai? Good ol’ American cuisine? Or maybe a combination of all? From appetizers to desserts we have what you’re looking for! Contact us to see how we can help you give your guests an experience that they won’t forget! Food Truck Catering will make your event the unique occasion you were hoping for and will give your guests an experience they’re sure to talk about for long after the party is over! FIND OUT MORE ABOUT FOOD TRUCK CATERING!